i returned to jakarta through an air asia flight after my four-day visit to bali. from terminal 3 i took a “golden bird” taxi which was pre-arranged to my pre-booked hotel which is located in jakarta’s central business district, fave hotel wahid hasyim. 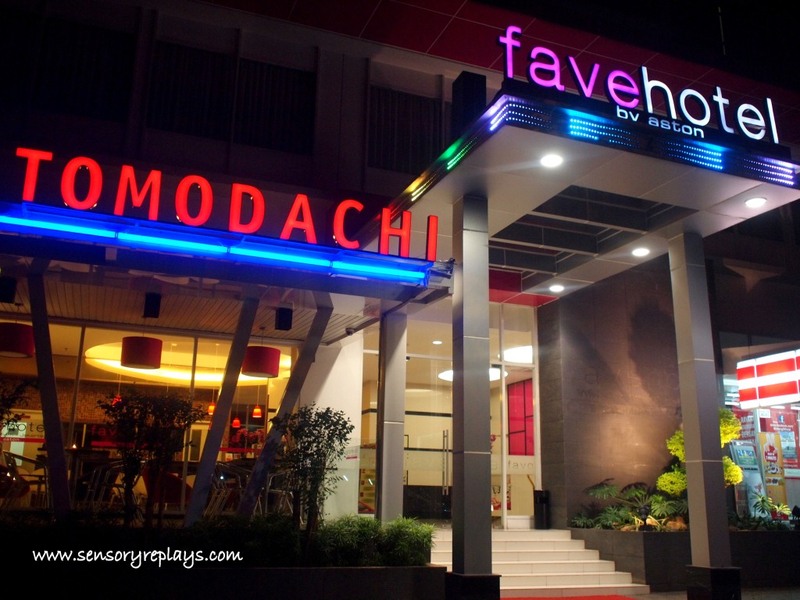 i have reserved a room for a three night stay at fave through their website. the hotel is almost new, for it was still less than a year old. 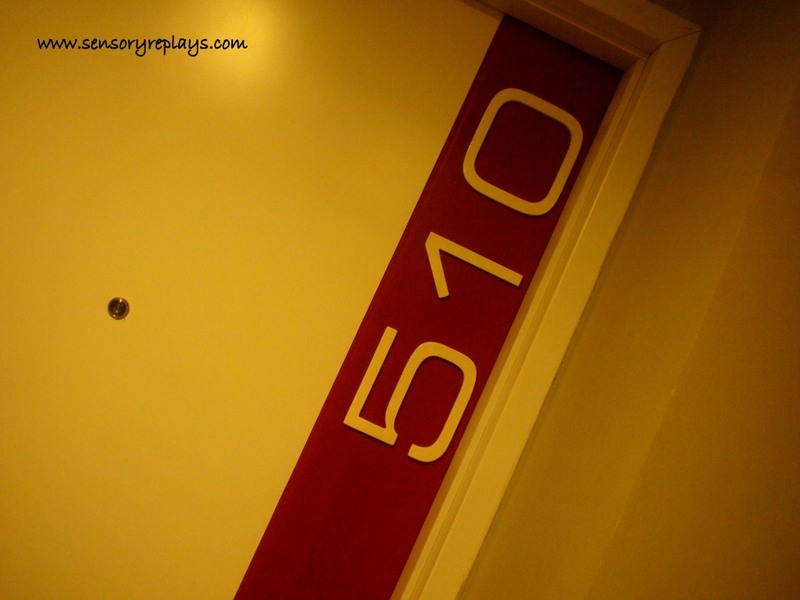 i was given a room at the fifth floor. though it was opposite the elevator, the noise did not bother me at all. i can see the traffic in wahid hasyim road from my window specially during rush hours. the room has a soft feminine touch, adding the flower wall paper. the double bed and the pillows are comfortable and the room generally clean. 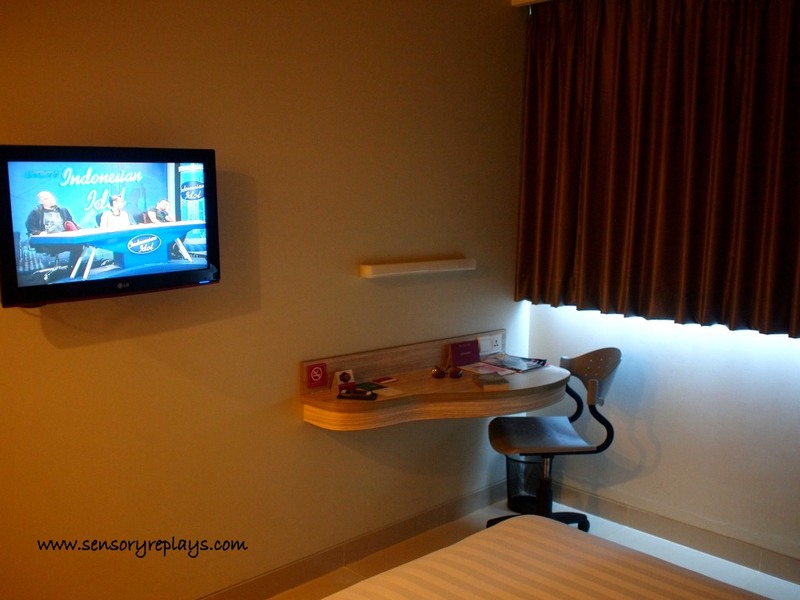 a 26 inch lcd television and a small writing desk is found in the room. universal power socket is also available. 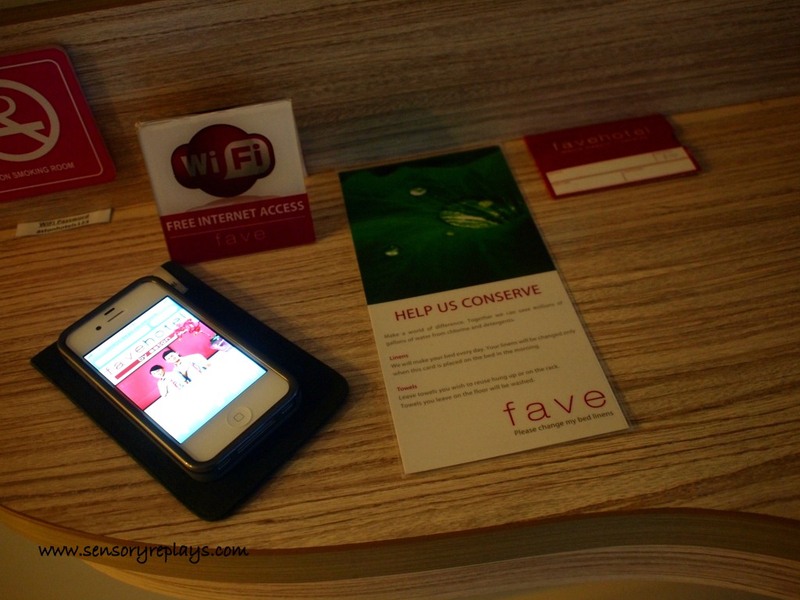 complimentary wi-fi access was efficient. during my travel in indonesia i only have with me my phone for internet use. unlike before in my past travels, i cannot seem to leave back home my laptop, now obviously i realized the convenience of not carrying one. a phone is available for local and international calls. i did used this and was separately charged a small fee. there is no clothes cabinet in the room but there is a space to hang clothing and a room safe. 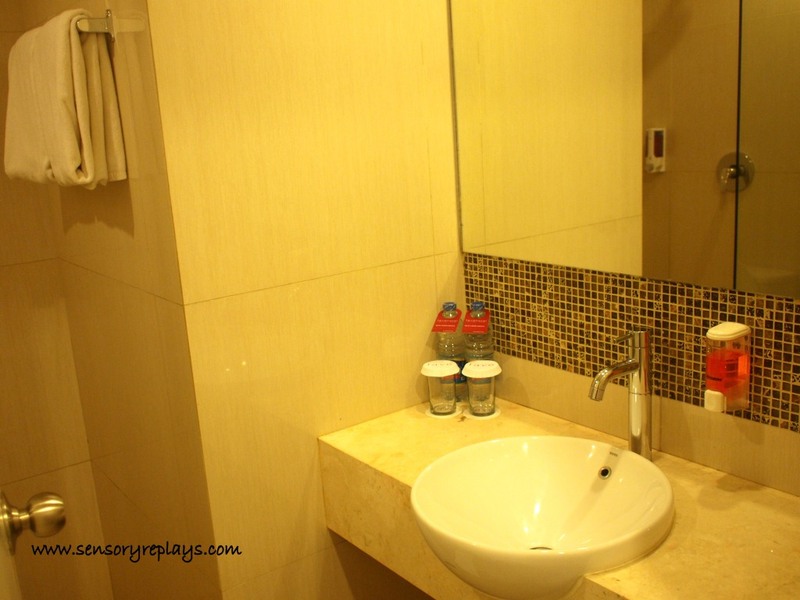 toilet and shower with basic toiletries which were replenished daily. 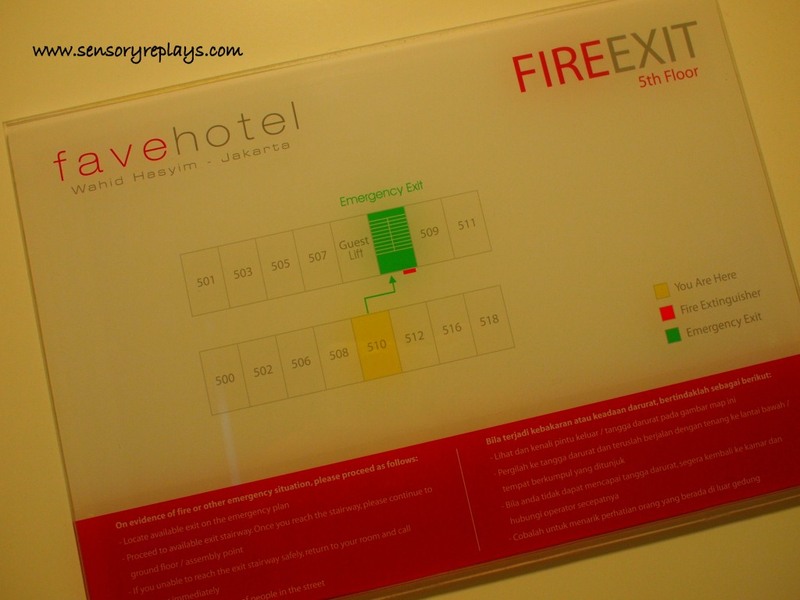 a thing to know when you check-in in a hotel room is the fire exit. i paid like $55.00 / night with breakfast in this hotel. 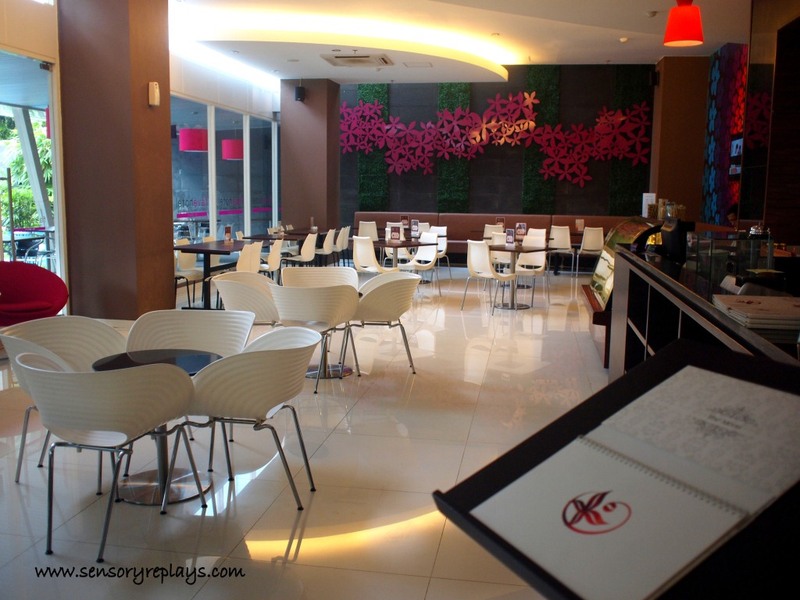 on the ground floor of the hotel is tomodachi café. a french-oriental fusion restaurant. 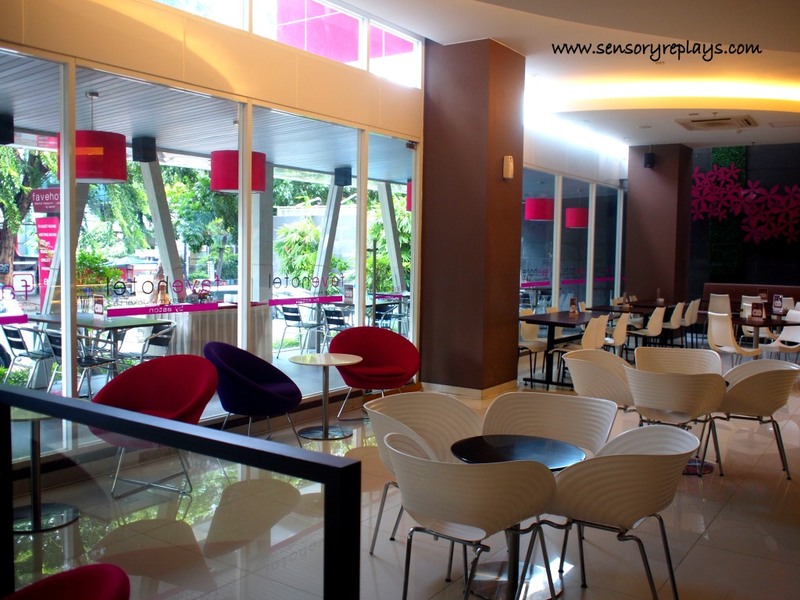 they serve buffet breakfast and ala carte food. 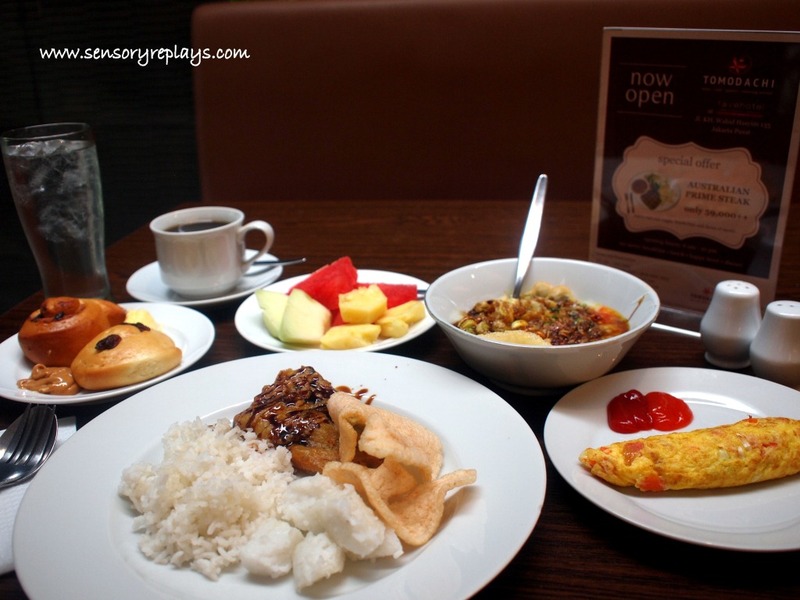 though the buffet during breakfast has limited choices, it was quite okay for me. 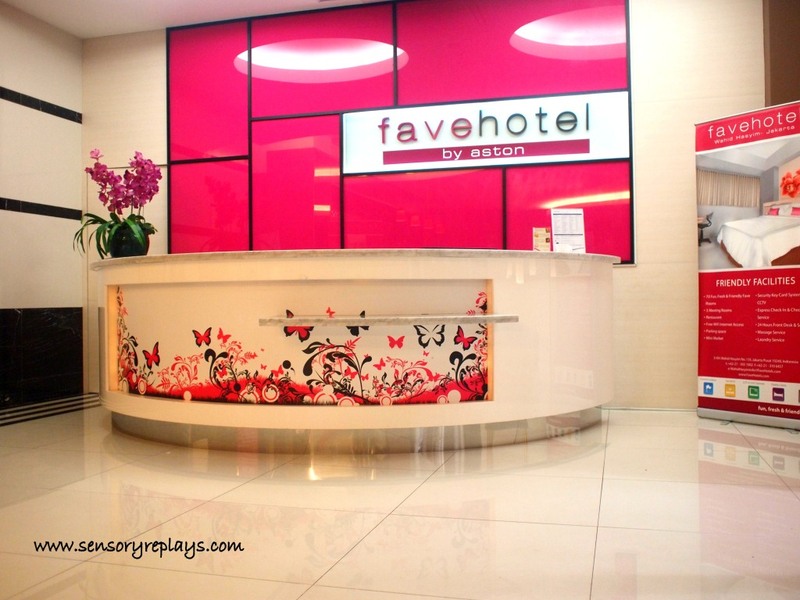 i was satisfied with my stay at fave hotel and recommend it if you will be staying in jakarta on a mid-range budget. 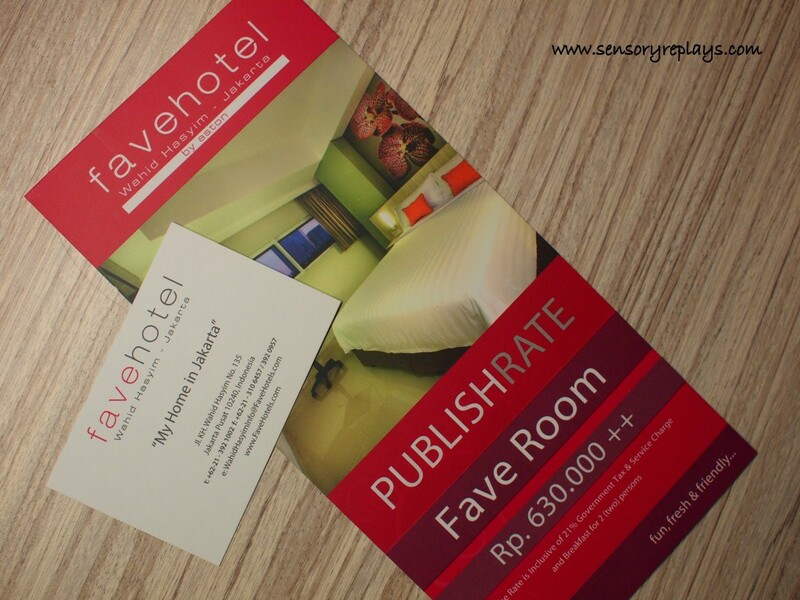 it has a very accessible site and it is near shopping malls, museums and the national monument. 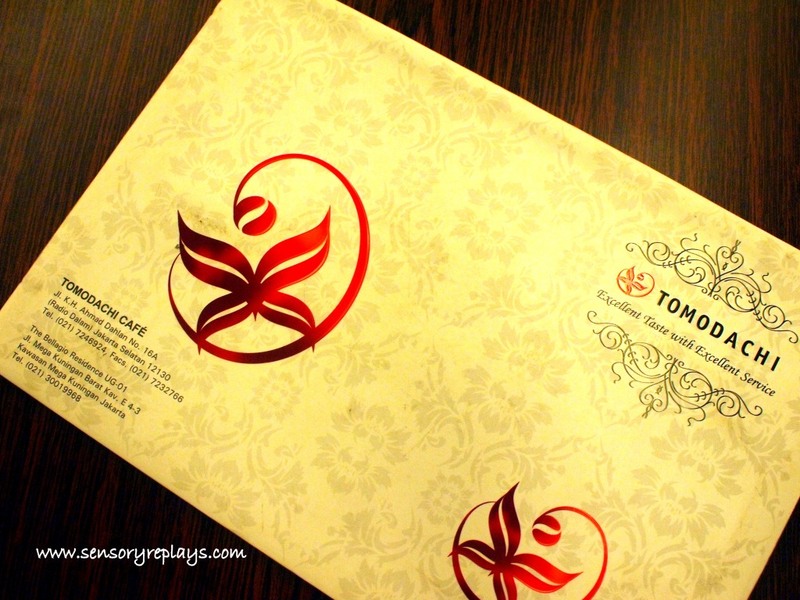 This entry was posted in been there and tagged fave hotel, fave hotel by aston, fave hotel wahid hasyim, french-oriental cafe, french-oriental restaurant, golden bird taxi, indonesia, jakarta, jakarta accommodation, jakarta hotels, jakarta restaurants, tomodachi, tomodachi cafe, tomodachi restaurant. Bookmark the permalink. 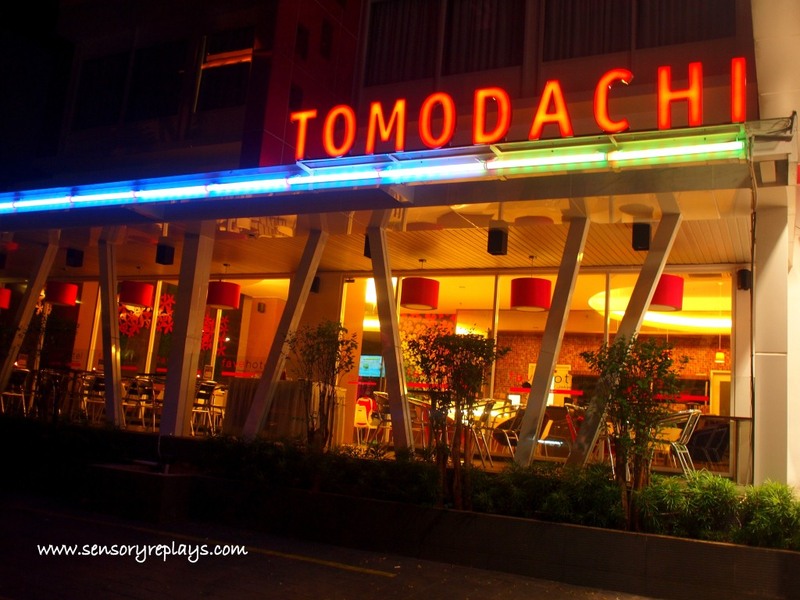 that tomodachi food place looks inviting! 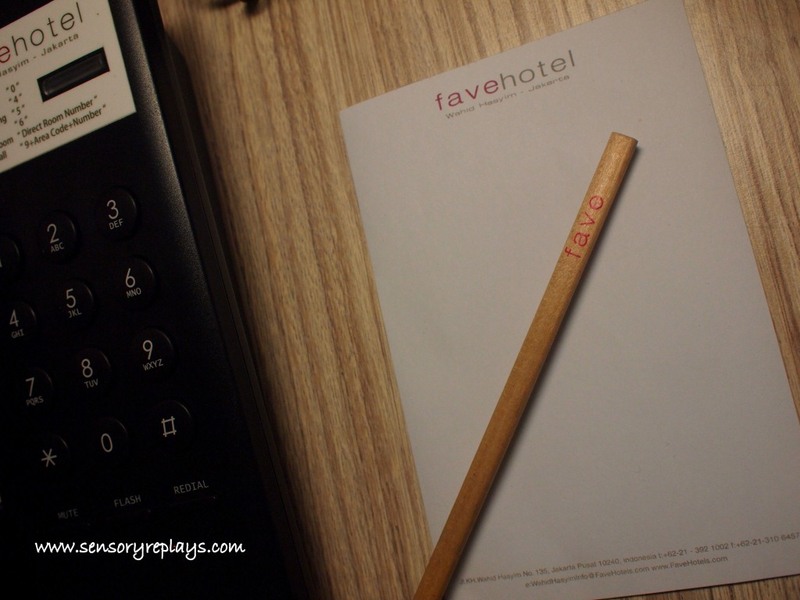 ayos din ang presyo, malinis pa ang hotel kahit maliit ang table, hmmm, space-saver! did you read tripadvisor’s review on this fave prior to booking? i’ve been doing it when necessary; well except our recent-emergency one! you know what i mean. ano tatak ng duffle bag? looks new or just new to me. .. di ata ako naghapunan nyan, hehe. i do consult trip advisor, it actually is a great help. .. last year pa yang leatherette uppsala bag na yan, “jump” brand that i bought from bahrain. .. hi lito. pop nga pero i’m not a fan of fuschia and violet hehe. .. bakit kaya di ako makapagcomment sa blog mo?